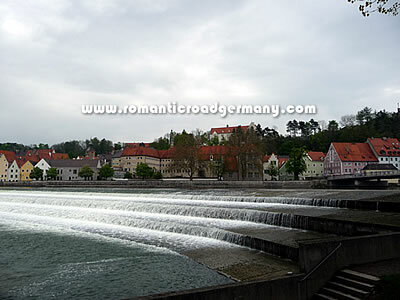 Landsberg is one of the towns on the Romantic Road which is located at an important junction to the rest of Bavaria. Major roads head off here to Munich and Lake Constance, as well as on the Romantic Road north to Augsburg or south to Schongau. But Landsberg is itself an attractive destination, with the river Lech forming an important part of its history and the foreground for the most scenic view of the old town.